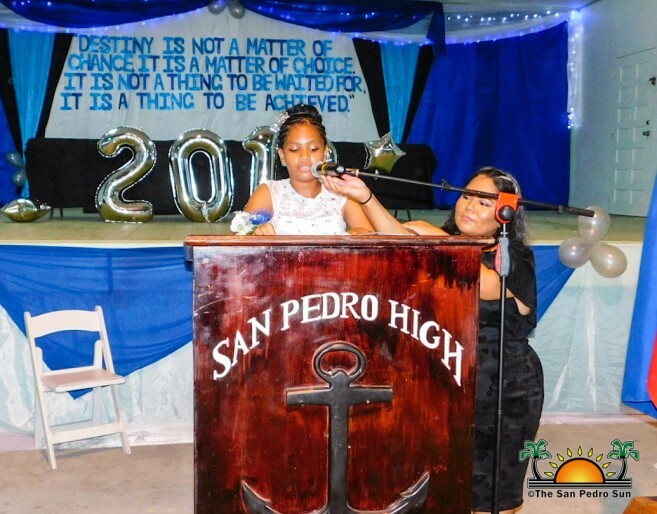 A total of 78 students received their primary school certificates at the 2018 San Pedro Roman Catholic School (SPRCS) graduation ceremony held at the Angel Nuñez Auditorium in San Pedro Town on Friday, June 24th at 5PM. 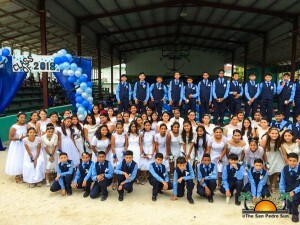 The commencement exercise saw the attendance of family and friends who proudly watched the graduates accomplish another educational milestone. Mistress of Ceremonies Diana Uh welcomed everyone to the event at 5PM, and after the singing of the National Anthem, a short invocation was given by SPRCS Acting Principal Patricia Lopez. 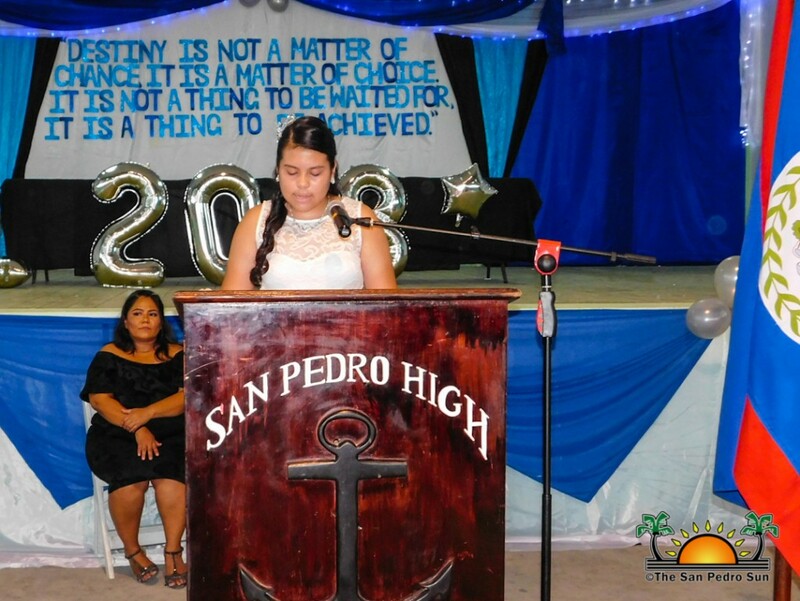 The Salutatorian Address was delivered by graduate Brianna Guerrero. She welcomed everyone to the ceremony, commending all parents and teachers for their dedication and support. Guerrero thanked everyone who helped in her accomplishment, while encouraging her colleagues to continue working hard for their goals. After the salutatorian remarks, SPRCS teacher’s Ross Novelo and Slyvia Flores handed out awards to students that excelled academically, in sports and the Primary School Examination. 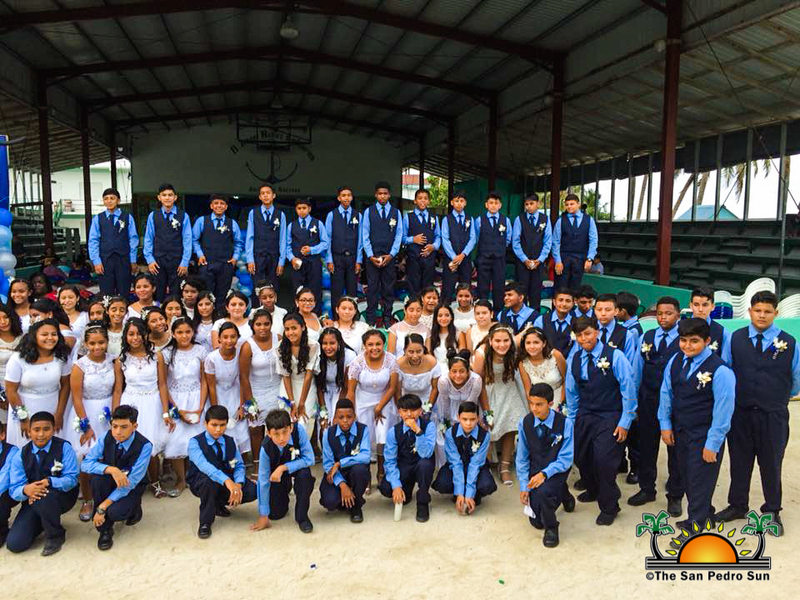 The guest speaker address was delivered by Enelda Rosado, Caye Caulker Village Chairwoman and former Principal of Caye Caulker Roman Catholic School. She shared a few encouraging words with the graduates. “With hard work and dedication you can become whatever you want in life. Continue to thrive for the best of you and make your parents, friends and community proud,” she said. “Remember to also remain humble in life.” She ended by congratulating each one of them for their hard work in their journey through their primary studies. Immediately after, Rosado handed over certificates to the graduating students. Valedictorian Shaneen Palma then took to the podium to share some of the great experiences she had throughout her primary school years. She congratulated all her fellow graduates and wished them the best. 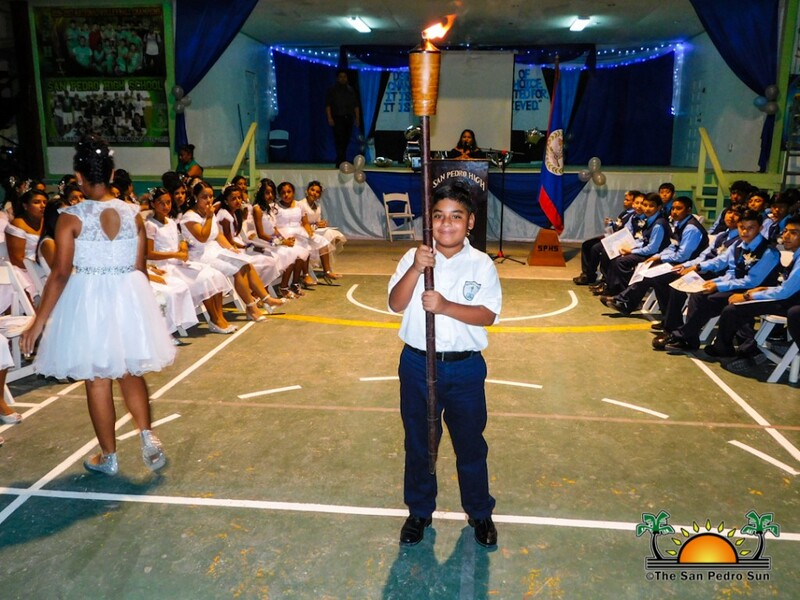 Thereafter, as tradition, Palma handed over the Valedictorian Torch to Standard Five student Wayne Alfaro, who had the highest GPA at the end of the year. 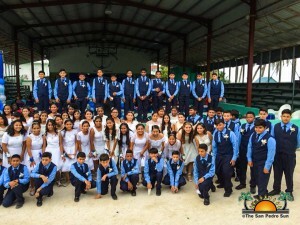 The graduation ceremony ended with the Vote of Thanks, which was delivered by Matthew Bradley and Orlinton Galicia. 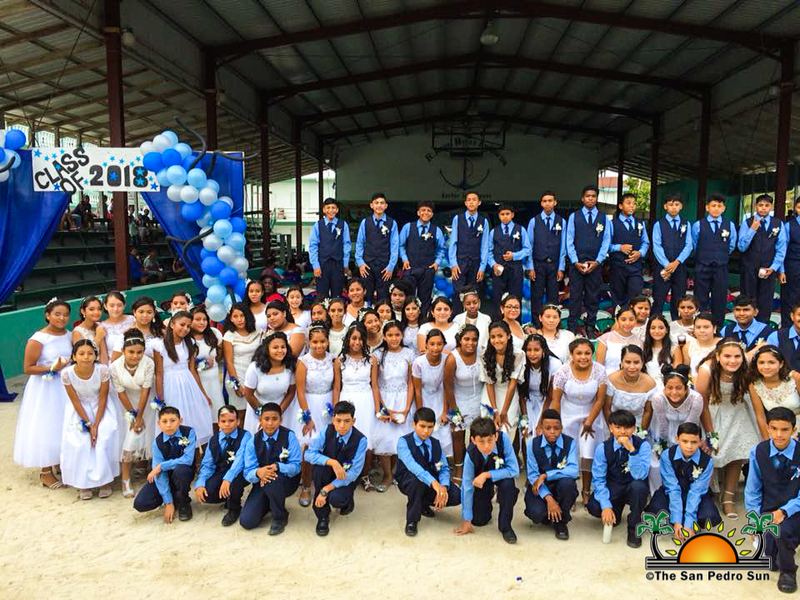 The San Pedro Sun joins the entire community in congratulating the 2018 graduating class of SPRCS and wishes them all the best in their future endeavors.